MLT student Po-Yao Huang has been named a 2016 Siebel Scholar. Huang contributed to speech algorithm development in one of world's largest mobile IC houses, where he led a team that designed and patented speech enhancement and recognition algorithms. As a student, Huang has performed research on how to understand human behavior via computer vision and language techniques. He has also worked on an automatic asthma inhaler monitoring and coaching system, and has designed a system that enables computers to understand and answer reading comprehension tests. He participates in the CMU Informedia project, last year's winner of the large scale Internet video content analysis and retrieval competition organized by the National Institute of Standards and Technology. 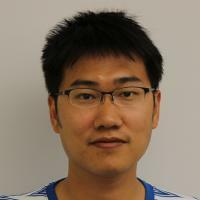 Huang joins five other Carnegie Mellon graduate students in the 2016 class of Siebel Scholars. Read more about it on the SCS News page.